Naomi is a Senior Associate in the Dental Negligence Team. She has several years of experience specialising in dental claims and has dealt with a wide variety of cases during this time. Naomi deals with high value and complex cases, mostly those in which a Claimant has lost several teeth. She has developed particular expertise in periodontal, restorative, implant and nerve injury claims. She works closely with, and provides supervisory support to, other members of the Dental Negligence Team. "Naomi was consistently approachable, patient, knowledgeable and proactive whilst handling my case. I found at all times Naomi was informative and realistic about the process and associated timescales. I believe that my best interests were at the heart of all our dealings." 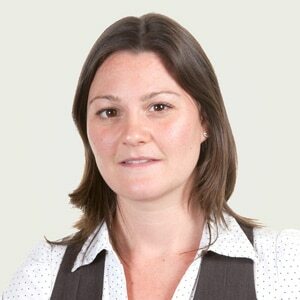 Naomi Todd qualified as a Solicitor in 2008 and specialises in dental negligence law.